Have you ever read the story of Martha & Mary and secretly felt empathy for (shhhh) Martha? Me too. I mean someone has to make dinner! We’re not alone. 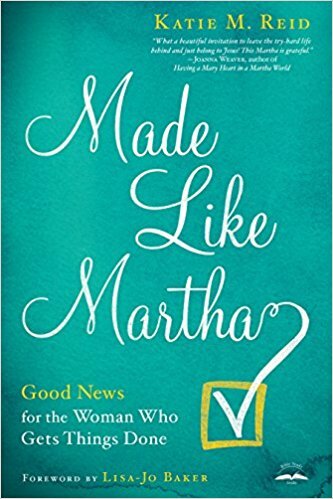 My friend Katie Reid is sticking-up for Martha and all the rest of us “doers” in her new book Made Like Martha: Good News for the Woman Who Gets Things Done. I’m thrilled to host Katie Reid here at Winsome Living today! Is this true of you? Do you feel as though God has let you down and so you work hard to look out for yourself? And isn’t that like big sister Eve? She believed the lie that God was holding out on her and that He wasn’t completely trustworthy. She took matters into her own hands, in the form of forbidden fruit, and was wise in her own eyes, blinded to truth. I think she forgot she was a beloved daughter of a good Father. She reached out for something she did not have because her Father’s boundary felt restrictive, not protective. At the root of Eve’s actions, there seems to be doubt in who God was and who she was in light of Him (see Genesis 3:1-7). Did Martha have her doubts too (see Luke 10:38-42)? Did Martha wonder who would take care of her since she was always taking care of others? Did she carry the weight of the world on her shoulders? ~ I look out for myself because I question if others will. ~ I have a fear of missing out, and I think others are holding out on me. ~ I am suspicious of people’s motives and am easily offended by their actions. ~ I have difficulty receiving because I am afraid that what is given will be taken away. ~ I work hard so others won’t find fault with me or reject me. ~ I am vigilant about self-preservation and build walls to protect myself from hurt. Another name for this mind-set is the orphan spirit, or an outlook of spiritual poverty. I also call it the hired-help mentality. It’s the belief that you must earn your keep or else you might lose what you have. Because I grew up in a wonderful Christian home with loving and caring parents, I felt as though this whole orphan viewpoint did not add up. But then I recalled the self-induced mantle of responsibility that I took on at a young age, and it started to make sense. I decided to look out for myself and call the shots, which translated into exerting control. I acted less like a daughter or sister and more like a mother hen, clucking and coercing, trying to be in charge and keep others in line. Over time, my take-charge approach intensified and I didn’t like who I had become. I barked orders and valued projects over people. I feared I was one bad decision away from losing the love of those closest to me. I lived as if it were up to me to keep the world in balance and make sure people were happy. On my quest to being enough for the Master and liked by others, I misplaced the joy of being a daughter. But a daughter of a Good Father is loved not for what she does, but for who she is; His. And from that place of confidence and security, she can do good works, not as a means to gain love but because she is so thankful that she already is loved. The LORD appeared to us in the past, saying: “I have loved you with an everlasting love; I have drawn you with unfailing kindness. -Jeremiah 31:3 (NIV). *Excerpted and adapted from Made Like Martha: Good News for the Woman Who Gets Things Done by Katie M. Reid, used with permission, copyright 2018, published by WaterBrook. 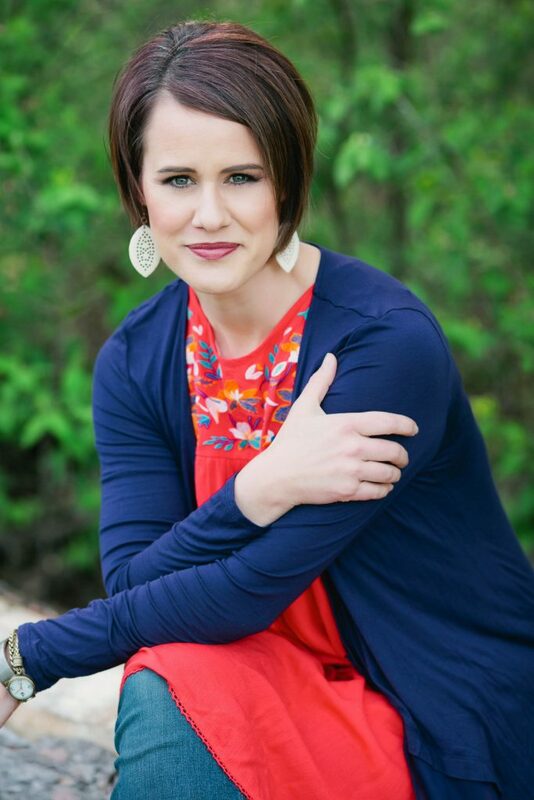 Katie M. Reid is a devoted wife and busy mother of five loud (and wonderful!) kids. She is the author of Made Like Martha: Good News for the Woman Who Gets Things Done. Katie encourages women to find grace in the unraveling at: katiemreid.com. 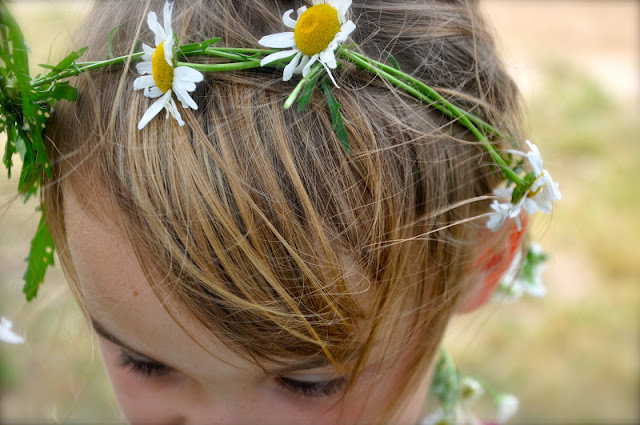 Kim- Thank you so much for your kindness and generosity in hosting me on your blog.